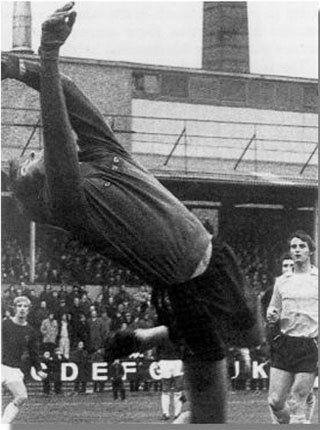 Goalkeeper Andy joined the Hornets in 1971 from boyhood club Everton and went on to make one short of 300 appearances for the club during a nine-year spell. He joined Huddersfield Town in 1980. Andy spoke to Watford Legends in 2013. Hi Andy, thanks for talking to us. You moved from Everton down to Watford back in 1971. How did that move come about? I had played for the season before as the first choice keeper at Everton who were my boyhood club. But then without going into too much detail I was deemed surplus to requirements. I was training one day and when I came in the Watford manager at the time, George Kirby, was there. He was a Liverpool lad himself so we got on well from the start. We had a natter about things and he said that he wanted me. I was happy to make the move so we agreed it all quite easily. Moving from Liverpool down to Watford is a long old way; did you have any reservations about heading south? No, none at all, I was really looking forward to it. I came back and told Margaret about the move, I suppose in hindsight I should have discussed it with her first before agreeing it but luckily she was happy with the move. We got down to Watford and it was really lovely, we were very happy down there. Did you enjoy working for George Kirby? Yes I liked George, he was a very good man and both being from Liverpool helped get us off on the right foot. He got a bit over excitable at times but I can’t say he was anything other than very good to not only me but Margaret as well. What were your first impressions of Watford? On the day we travelled down there had been a big accident on the M1 so we were several hours late. We had to follow all the diversions and what have you and arrived in the evening. Our new next door neighbours had taken the time to get some coal in and put a fire on for us as well as making up a plate of sandwiches for when we arrived so as far as first impressions go they were very high and a great start. So that was the people, and the first impressions of the club were very good as well. I had only been at Everton before so I didn’t have much to compare it to, but one thing that was very different was how hard the training was – they trained a heck of a lot harder at Watford than they did at Everton. Did you live in Watford itself when you were down here? Nope we lived just outside, we lived on Meadow Road in Garston and really enjoyed our time living there – we were made to feel very welcome. You clocked up 299 appearances between the sticks for Watford, what games stand out for you? Lots of them! Certainly the promotion games stand out as being particularly memorable for obvious reasons. But probably the main one was when we went up to Manchester United in the Milk Cup expecting to get tonked and came away with a 2-1 win thanks to a couple of goals from Luther. Really vividly, I can remember a last minute bullet header from Gordon McQueen that was heading to the top corner. Somehow I managed to get a hand to it and clawed it away for a corner; I was delighted with the save. Straight away Dennis Booth came up to me and told me I should have held the ball and not conceded the corner – a strange time to have a laugh when we were on the verge of a fantastic result but it’s a funny memory to look back on. In fact earlier that day Dennis and I had been joking about how many we would concede so to come away with the win was incredible. Another game that would stand out I suppose is my debut which was at home to Burnley. I had a good game and I was happy until the last minute when I let one squirm out of my hands and they scored from it. But I clearly remember the crowd being really great towards me even when I made that mistake; they were an understanding lot and made me want to make it up to them in the next game. So what made you make the decision to leave the club then? If I am being honest then I didn’t really want to leave the club. Graham Taylor had managed to sign Eric Steele though and he wanted to go with him which is fine but I wanted to be playing football. Graham felt it was time for a change which is obviously a decision which is totally out of my control. I was 34 by then and didn’t want to hang about not playing. How did you find GT to work for? He was a very good manager, both on and off the pitch. He always used to say that behind the scenes he could do anything he likes but when it came to us crossing that white line then it was totally down to us as players. But the results speak for themselves; you only have to look at what he achieved with Watford to see what a good manager he is. When it came to me moving on he was really up front about it and he was straight with me. As well as having Eric Steele in the squad he also had Steve Sherwood coming through. Did you have any other options other than Huddersfield? Not that I was aware of, no. We were training down at Honeypot Lane when Graham came out to me and said that he’d had a call from Huddersfield. We had a chat about it and he said that they wanted to talk to me, and wondered if I’d talk to them. I did exactly that, had a chat with them and arranged a time to meet up. They had a keeper called Neil Freeman who had gone off the boil a bit and they wanted me to go in on loan and provide a bit of competition to try and refresh things. The loan spell went well enough for them to sign me permanently, and all was going well until I fractured my skull in a cup game against Shrewsbury. A serious injury to have, which must have been a huge concern. Yes it was, it was like being in a dream world to be honest. It was all a bit of a blur whilst it was going on. I remember Steve Harrison from Watford called me up to see how I was getting on which was great, and he wished me all the best from the club which was nice to hear. You hung up your gloves in 1982, what have you been doing since then? I worked for a local fella for a while, just doing odd jobs and a bit of tarmacking and what have you. I did that for a while and then went for an interview at Waddingtons the printers, they are now called Halcion. I got the job there and I was sat at the end of a machine packing things as they came off the production line. I did try keeping myself in football by getting involved with some coaching at Huddersfield but coaching is an art and I simply don’t have it – I was just no good at it unfortunately so I knocked it on the head. I stuck with it at Halcion and after a while I moved off the production line and into the warehouse. I retired around 2003 after 18 years of service. Was playing football a big wage, in comparison back when you were playing? When I finished playing I was earning £125 a week. It’s tough for me to say how it compares with other jobs as I’d only ever known football. It wasn’t necessarily big money but it was certainly a living wage. What do you make of the modern day game? I can’t watch it to be honest. If I watch more than about five minutes then I get bad tempered and start shouting at the telly. I get too angry to be able to watch it. They take a tumble so easily now and occasionally they will get booked for simulation – it’s not simulation, it is diving so they should call it that. Some of the ex pro’s don’t help with their analysis as they skirt round the issue rather than tell it how it is as they obviously don’t want to jeopardise the jobs they have got and don’t want to upset anyone. Phrases such as ‘he earned the free kick’ or ‘he won the penalty’ don’t sit well with me to be honest so instead of losing my temper I just don’t watch it instead. We agree! Thanks very much for talking to us Andy, we really appreciate it. No problem at all. Before I go though, can I just say that I’d like to pass on my very best wishes to all the supporters and other people at the club who helped make mine and my family’s life down there so enjoyable – we are truly grateful for the experience so I’d like to say thanks and all the best to everyone. I can't answer, it's unprintable!